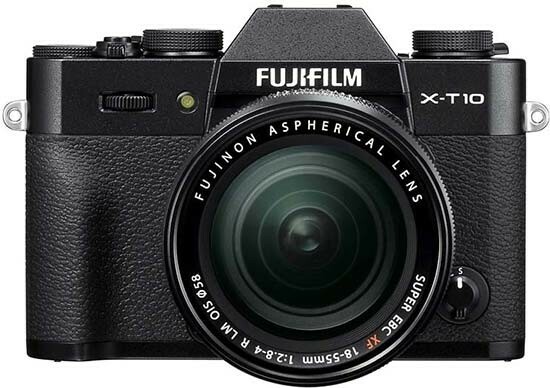 The Fujifilm X-T10 successfully repackages most of the core features of the flagship X-T1 camera into a smaller, lighter and cheaper body, and it's also the first X-series camera to benefit from the brand new auto-focusing system, resulting in a mid-range camera that offers a lot of advanced functionality. The X-T10 may lack its big brother's weatherproof body, dedicated ISO dial, larger continuous shooting buffer, PC Sync port, larger handgrip and bigger viewfinder image, but the new Auto Mode with its dedicated switch, the built-in flash and the lower price tag make it a more appealing proposition for beginner users. For more experienced photographers, the X-T10 would make an ideal second body alongside an X-T1, or even a cheaper alternative, although the lack of an ISO dial, small buffer and the smaller viewfinder in particular will give some pause for thought. At £499 / $799 body-only, the Fujifilm X-T10 undercuts most of its main rivals, yet it still very much looks and feels the part. Perhaps our only concern is that its styling and control layout may prove to be too "retro" and maybe complicated for some potential buyers looking for a simpler, more modern design. As the X-T10 is so good though, we suggest that you dive in and get to grips with a camera that is much more capable than its price might first suggest. Essential!